Maxwell Lessing founded Lessing’s Food Service Management in 1890. 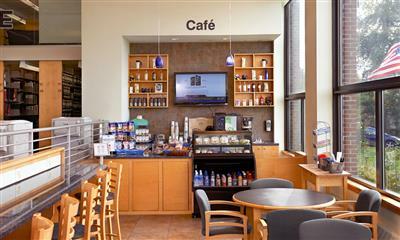 The company began with the goal of providing services to coffee shops in lower Manhattan. The business grew, and by 1917 was operating a bakeshop commissary and other food services from a downtown location on Jones Lane situated near Wall Street. By the late 1920's, we were serving meals to New York's workforce in as many as 20 locations, among them the famous Woolworth Building. 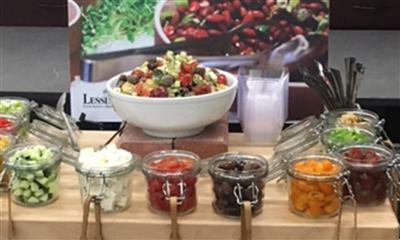 Today, Lessing's Food Service Management portfolio encompasses over eighty accounts in the Northeast, serving more than 40,000 guests a day. 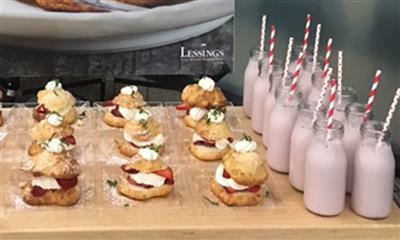 In today's climate where people are educated "foodies", Lessing's continues to be on the forefront of innovation in providing great food to our customers. It's at the heart of everything we do at Lessing's, and it's exactly what you would expect from a sixth generation, family owned-and-operated business. We do all this with the same commitment to quality and excellence that Maxwell Lessing founded the business on more than a century ago. 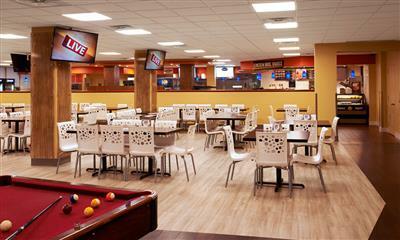 When it comes to College Dining Programs, Lessing's has created an environment that suits any taste. 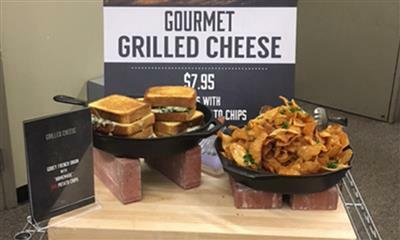 From fresh-made pizza to customized salads and delicious hot foods, each student will find something to enjoy day in and out. 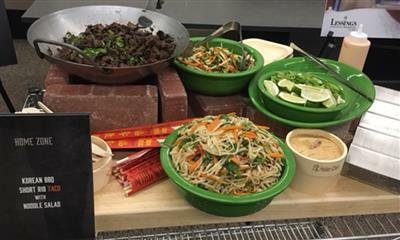 It is important to us that the variety is kept fresh and new so all students have a memorable dining experience at each meal. We are committed to a great relationship with the entire student body, faculty, and staff. This includes creating a unique flexible program and listening to the needs of everyone we serve on a daily basis. Coming from a huge family life, Lessing's knows the importance of good healthy meals for their children, and we pass this along to the students we serve. Our services include in-house dining programs, delivery service programs (to certain areas), catered events, and vending applications where needed. Lessing's has been servicing the corporate dining world for over 60 years. It is always our pleasure to serve great food in almost any corporate setting. With our team of chefs, Lessing's keeps ahead of the culinary trends in the industry. 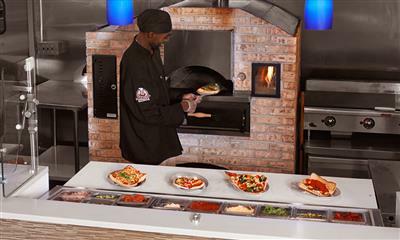 We routinely streamline and improve our menus to the taste of the times and to our customers. It is important to us that everyone we serve walks in excited to eat our food, which has made our corporate dinning program a success. For the private or public clubs, Lessing's has a food service solution that is backed by our experience in this industry for over 50 years. We have some of the best and most experienced staff in the business when it comes to service in your club. From pool snack bars to full-service restaurants, Lessing's will ensure that you get incredible service and a dining experience every time you visit. For more than 20 years, Lessing's served as an instrumental part of the New York State Parks foodservice system - providing valued services ranging from simple snack bars to multiple concession stand locations to large scale catered picnics in the parks. Working closely with both the NY State Parks department, Nassau and Suffolk Counties and many Long Island townships, Lessing's has helped provide innovative concession operations during these important years, helping to meet the growing needs of people visiting Long Island's state parks and working to attract people to these locations. With a long history serving large accounts, from coffee in Manhattan to concession stands throughout Long Island, Lessing's is your answer to any vending needs. It is important to keep your employees energy up by providing great healthy choices and vending machines can do it 24 hours a day. Let us create a vending plan for you. 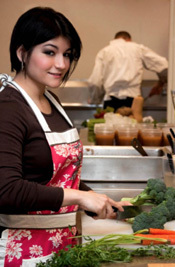 As an experienced food service provider, we know how important nutrition is. We offer healthy options giving the opportunity to create great eating habits at any stage in life. Lessing's will cater to the special dietary needs including food allergies, gluten free, vegan, and vegetarian meals. Lisa Suriano is a certified nutritionist holding a Master's degree in Nutrition and Food Science and specializing in school food service. She worked as both Director of Operations and Team Nutritionist for New York City based private school and corporate food service companies since 2005. Lisa founded a national nutrition education program, Veggiecation that introduces 1000s of American children to the delicious world of vegetables. As a school food service expert, Lisa is on the board of directors as Secretary of the New York Coalition for Healthy School Food, a non-profit that works in partnership with New York City's Department of SchoolFood to improve the health of New York state students. Additionally, she consults for business and college level foods service programs, providing menu advisement and sports nutrition guidance for university athletics teams. Lisa has been featured in a selection of national and regional media, including traditional print and broadcast as well as online news and social media outlets. Featured broadcast segments include NBC Weekend Today in New York and WPIX Morning News, where Lisa shared with viewers healthy, vegetarian recipes and discussed how viewers can incorporate healthy food choices into their diets. Lisa has also made broadcast appearances on The Wendy Williams Show, News 12 Brooklyn, News 12 New Jersey and New York. Lessing's has been in the food service and hospitality business for over 120 years. Our business is successful because we believe in using the best products and brands. Our standards are second to none when it comes to quality. Eggs - fresh USDA or stated "AA"
Milk and milk products - USDA Grade "A"
Frozen fruits and vegetables - USDA Grade "A"
"Recycling Unwanted Crayons Into Unlimited Possibilities"
The Crayon Initiative collects used and unwanted crayons donated from homes, restaurants, schools and homes across the country, then melts them down and remanufactures them, reducing environmental waste. These programs provide young patients with a creative outlet to express themselves, while at the same time helping alleviate anxiety. They also enhance problem-solving and critical thinking skills, while promoting creativity and imagination. When the patients at our partner hospitals finally get to go home, they often take our crayons with them because they represent a happy memory during an otherwise uncertain time. 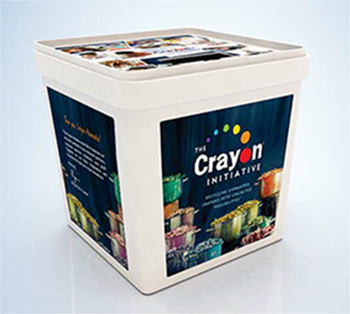 It's simple, instead of throwing used crayons in the garbage, place them in the plastic recycle container at any of our restaurants. 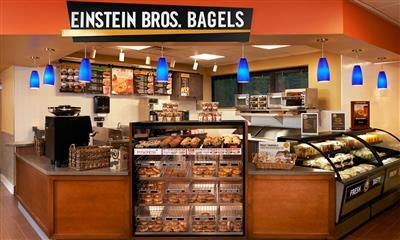 Lessing's has created the following brands to help customers recognize what is important to us. These brands help us keep our menus updated and relevant. 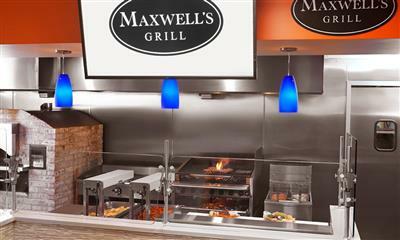 A combination of the best hot sandwiches including, black Angus burgers, chicken sandwiches, quesadillas and hot dogs. 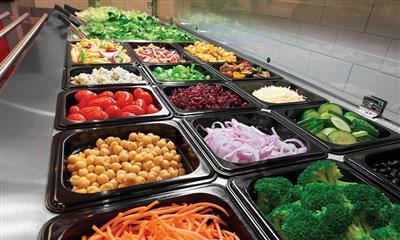 Our professional Chef will make a salad to your taste at the spin salad station. 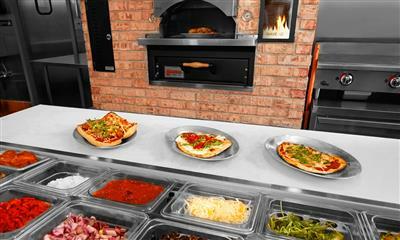 We can rotate over 25 different toppings for your eating pleasure. With all the freshest ingredients and some local flavors, our salads are refreshing and tasty at the same time. With over 2,500 recipes to choose from, our hot entrees will never grow old. We have the option of two week, eight and twelve week cycle menus where these entrees would never be repeated. With this type of variety, our customers will keep coming back for more. 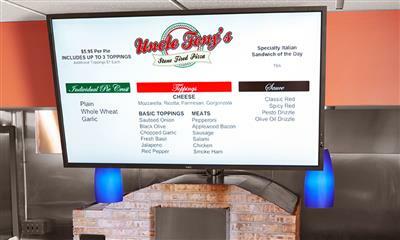 Uncle Tony's Pizza is great pizza with many combinations for the pizza lover in all of us as well as a mini Italian station where we serve calzones, garlic knots, pinwheels, sausage rolls and much more. 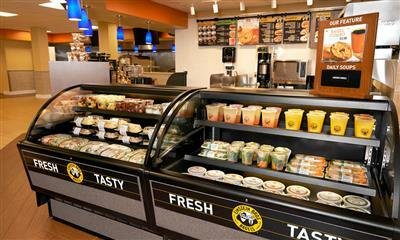 Enjoy a variety of upscale specialty sandwiches on a daily basis. This is your New York-style deli! With an assortment of fresh baked breads and fresh local vegetables to top, you will never get tired of these delights. Fresh sushi made daily at View Restaurant by our sushi chef. There are a variety of rolls that we offer as specials to our managed service clients. Availability limited to certain regions. Lessing's offers fresh, homemade soup on a daily basis. 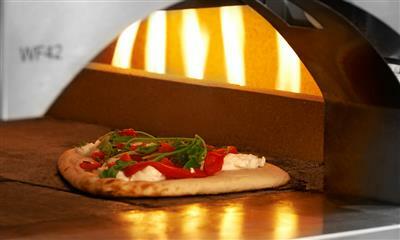 Everything is cooked from scratch for an authentic taste. On behalf of the women and men of the Federal Air Marshal Service, New York Field Office, I would like to thank you and your organizations for your most gracious accomodations during the federal government's most recent lapse in funding. As you may know, this was the longest lapse in funding in U.S. history - and, while associated impacts varied from individual to individual, our entire workforce felt the strains of delayed compensation and uncertainty - a recurrence we hope to avoid in the coming days. I am proud to say that, as a team, we pulled through this lapse in appropriations - and, while we still have yet to reach a state of normalcy, each day brings us one step closer to being in a position to engage in our all-important mission free from the uncertainties associated with a government shut-down. Please know that the services and support you provided to our workforce, on multiple occasions, helped us beyond measure - and, for that, I thank you. The men and women of the Federal Air Marshal Service are dedicated to the safety and security of this Great Nation, and those assigned to the New York Field Office are easily the best of the best. It is comforting to know that they have your support. Thank you, again, for the dedication and support you have illustrated time and again. Your gracious hospitality is greatly appreciated - a sentiment shared by our entire staff. "I want to take this opportunity to acknowledge my sincere appreciation for the professionalism and yeoman efforts of the Lessing's food service team at Jamestown Community College this summer. The staff consists of Julie Wooten, Manager, Christine Volk, Assistant Manager, Patti Delahoy, and Brandon Olson. They provided food and exceptional customer service for a variety of residential and short term summer programs coordinated by JCC's Center for Continuing Education." View the PDF testimonial from Jamestown Community College. "St. John the Baptist Diocesan High School has been working with Lessing's for the past 14 years. 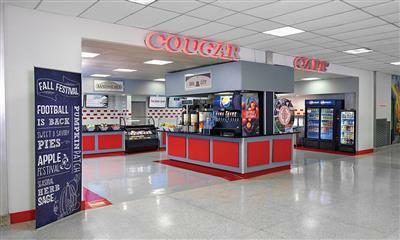 Lessing's offers the students a variety of healthy options (although they do not always choose this option! ), and consistently provides quality food. Lessing's service is excellent, and they are always available to accommodate us, even on last-minute requests." "We have worked with Lessing's for over 17 years. We have had a wonderful relationship with them. Lessing's is responsible and reliable. Schmiddy is a gem to work with; he always gives us great input and never says he can't do something. 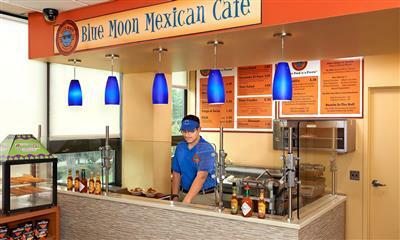 They have been able to adapt to our very limited cooking space, and continuously offer our employees great menu items!" 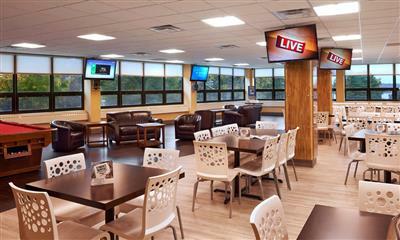 "Lessing's Hospitality Group has been operating the River Café at the Long Island Business & Technology Center since 2004. 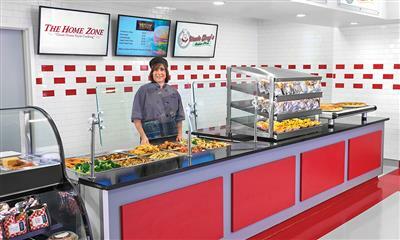 They have come to be known for their variety of daily fresh foods and generous portions at reasonable prices. Their staff is organized and responsive with a can-do attitude from daily cafeteria operations to corporate events held within the center. 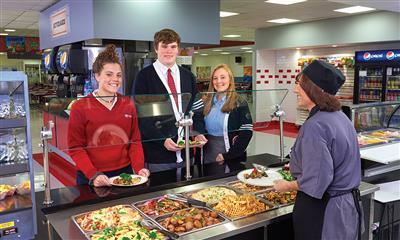 We are very pleased with the changes they have brought to our food service since joining us in 2004. They are continuously innovative in bringing new ideas to the table!" Our goal is to customize a marketing strategy for each individual client that presents our products and services to accomplish their vision and expectation of food service. We strive to emphasize top quality food, brand recognition, menu variety, effective promotions, and clear communications aimed at target markets. By raising customer awareness through our marketing programs we strive to build revenue, enhance satisfaction and achieve measured success.